Universitatea Craiova seemed almost overwhelmed by RB Leipzig’s power. Die Roten Bullen came at the Romanian side trying to quickly gain an advantage at home in front of 16,648 spectators at the Red Bull Arena. The Romanians, however, were steadfast and although Leipzig took a quick lead through Ibrahima Konaté in the 25′ minute, Craiova remained in the game. 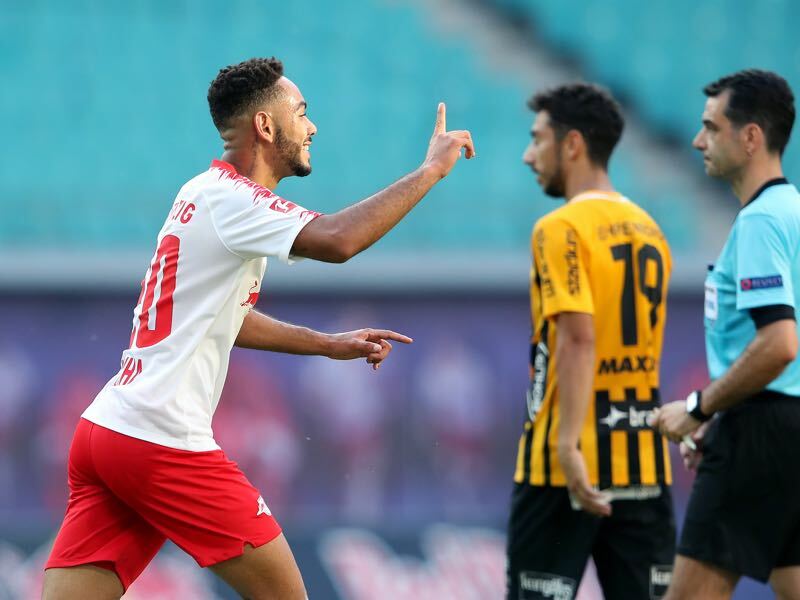 Defensively secure and surprisingly fit it took Leipzig until the 77′ minute to score a second – this time it was new striker Matheus Cunha, who scored. A third Leipzig goal in the 87′ minute by Yussuf Poulsen should have put the lid on this tie. But then Ivan Martić scored one for Universitatea in the 94′ minute. Europa League arithmetics mean that this goal has kept the Romanians alive in this third round Europa League qualification match. Leipzig, in the meantime, will feel that they have left to much in the tank. Die Roten Bullen had chances for an even more decisive result in their favour. The 2017/18 Cupa României winner, however, should not be underestimated. Four times Romanian champions, the last time in 1991, Craiova finished third in the Romanian Liga I last season behind CFR Cluj and FCSB, as a form of Steaua, are known as today. 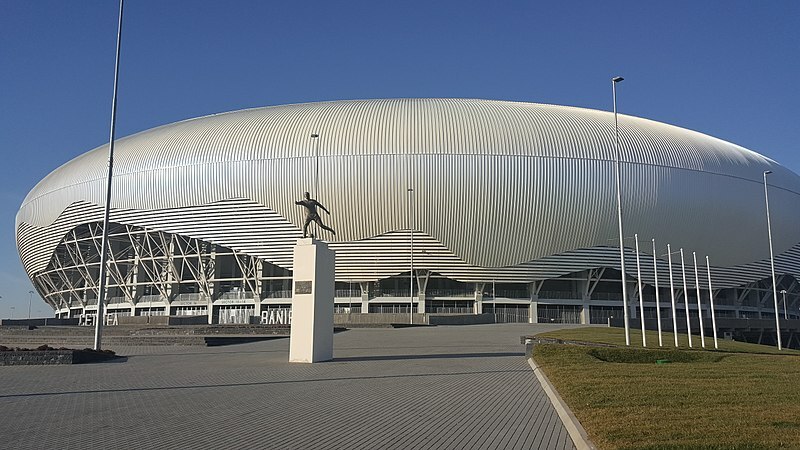 Having moved into a brand new stadium last November the club, however, has never qualified for the group stage of a European competition. In fact, between 1991 and 2017 Universitatea did not qualify for European competition at all. It was only last year that they returned to the European stage, just to be knocked out by Milan at this stage of the competition. 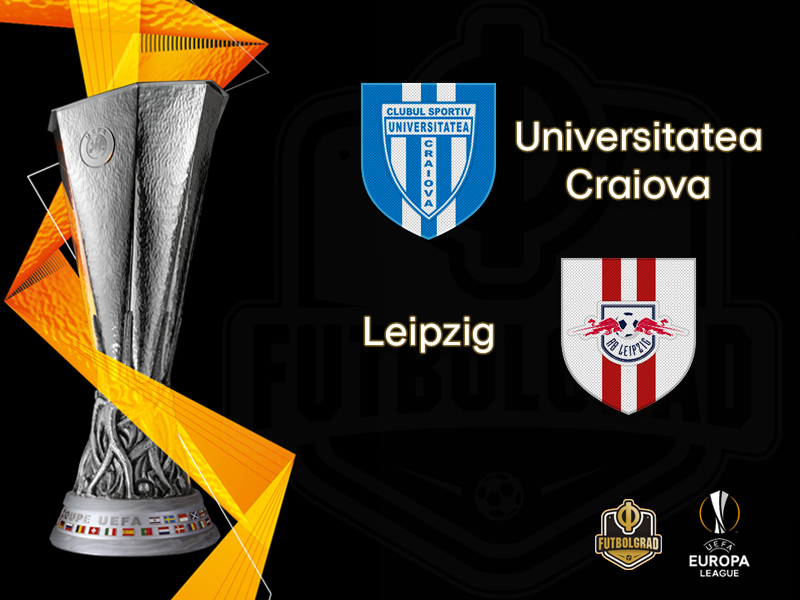 Now two goals behind RB Leipzig, who have qualified for Europe twice in their first two seasons in Bundesliga, will likely be once again a step too far for Universitatea. In fact, Leipzig will likely take this match very seriously. Hampered by Financial Fair Play RB Leipzig needs European football to continue the growth of the football club. Hence, do not be surprised if head coach Ralf Rangnick starts Emil Forsberg in this game. The World Cup starters were given rest for large parts of the first leg matchup but should be available on Thursday. Timo Werner, who was on the bench last week, will miss the game on Thursday, but even without the national team striker in the squad, anything but a decisive Leipzig victory would be a major surprise. The attacking midfielder is the club’s captain, and after tasting victory last season in the Romanian Cup Final, he will undoubtedly be aiming high in this competition. With two goals in three Liga matches already, he could offer a moderate threat to a Leipzig side who are still in the latter stages of their pre-season training routine. [The Europa League] matches are important games, and I am happy that I was able to score in both home matches”, Matheus Cunha told kicker on Monday. The Brazilian was signed from Sion this summer and has now scored three goals and one assist in three Europa League games. With Timo Werner out on Thursday expect the 19-year-old Brazilian to start alongside French striker Jean-Kévin Augustin. Pigliacelli – Popa, Gardoș, Ferreira – Briceag, Mateiu, Cicâldău, Bancu – Glavina, Mitrita, Burlacu. Usmanov – Everton or Milan? What is next for the Oligarch?